Katie Kirk & Nathan Strandberg (from Eight Hour Day Studio) designed these business cards for Olive Juice Studios. Kelly and Scott of Olive Juice Studios wanted their new identity to feel sophisticated, yet have a distinct personality. This clean and classic look was inspired by their love of the vintage lounge. 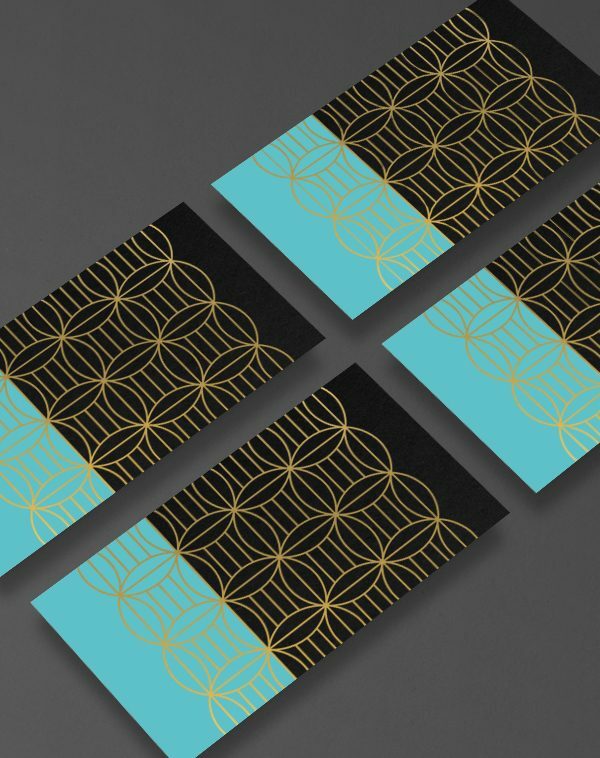 It uses gold foil and a single line-weight pattern that overlays a modern pop of teal. 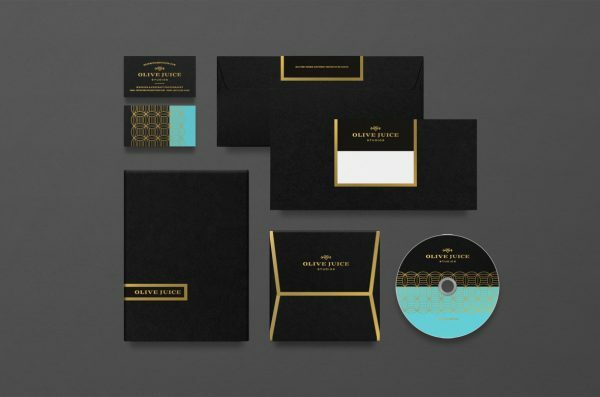 The gold foil printing was applied to the contact details and logo so they stand out from the black background, creating a beautiful contrast! These duplexed business cards were printed using 2 PMS colors on 110lb cover weight cardstock by Daily Printing.